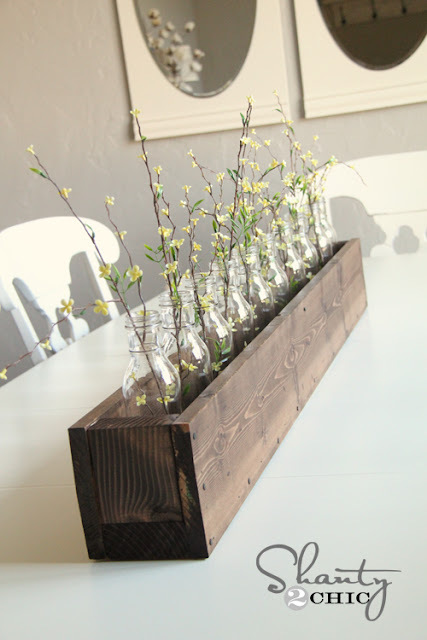 I am in love with this planter box centerpiece and even more in love with the bottles inside. The perfect combination. Whitney built the planter box from scratch and you can see the tutorial over at Shanty 2 Chic. This is so simple, yet beautiful!